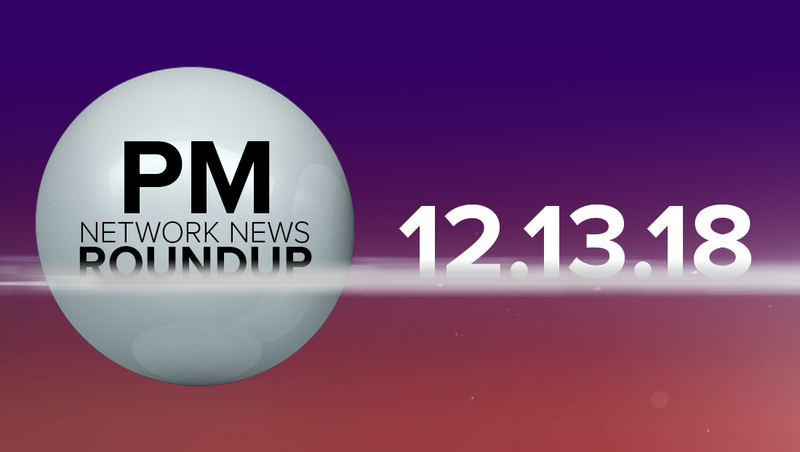 Thursday, Dec. 13, 2018 saw all three networks leading with the suspect in the French Christmas market attack — as well as other scares from around the world. 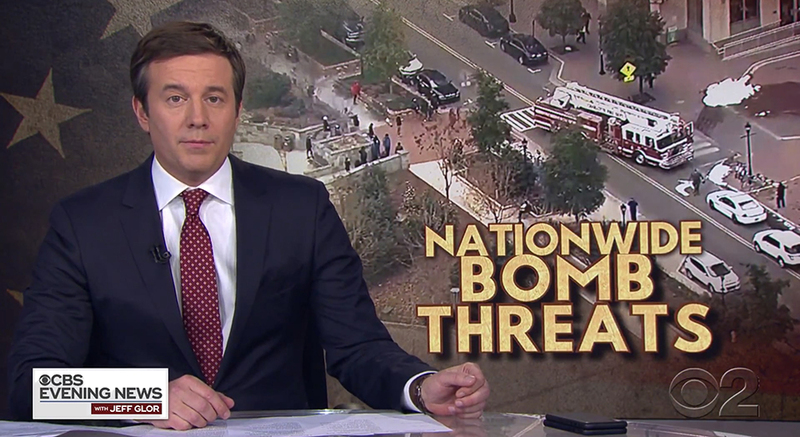 ‘CBS Evening News’ had anchor Jeff Glor in front of a video wall OTS graphic. 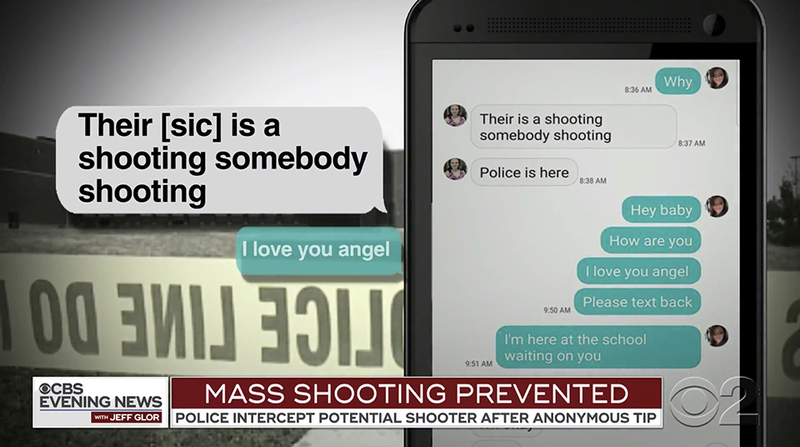 This SMS-style graphic was used to simulate how a mass shooting was prevented. 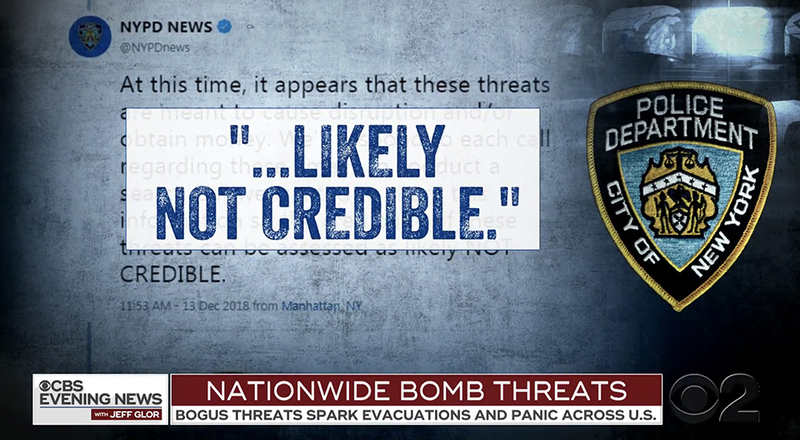 The network also covered nationwide bomb threats using a unique, textured font treatment. The network then used its textured typography treatment to showcase official responses to the threats. 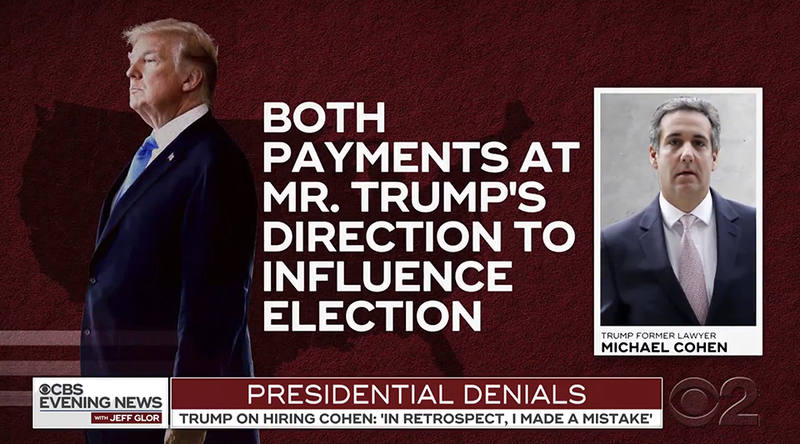 CBS also covered new details about Michael Cohen and alleged payments made at Donald Trump’s direction using a red animated infographic. 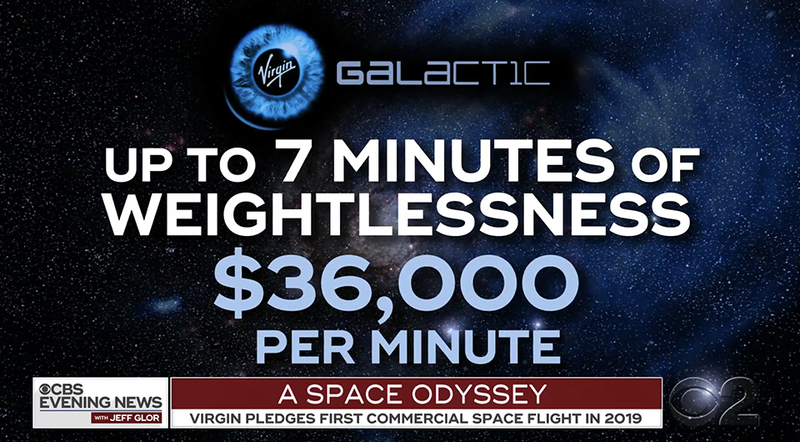 Space tourism was also in the news, with this starry background used to highlight key facts about it. 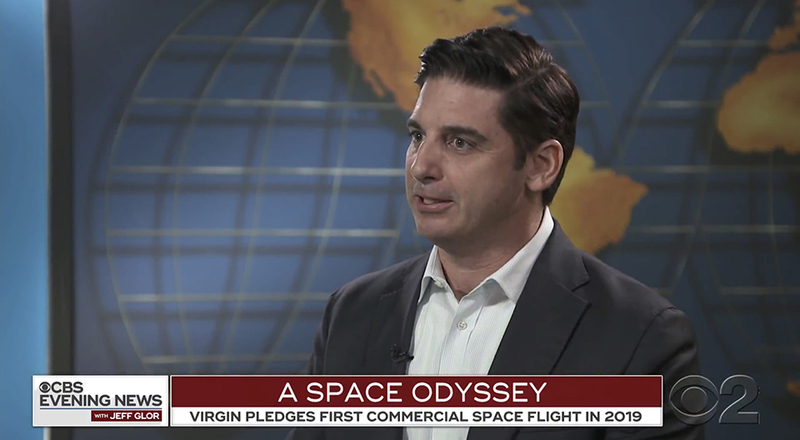 The package included a taped interview with Richard Branson — with a faux version of the Walter Cronkite-era map behind the correspondent. 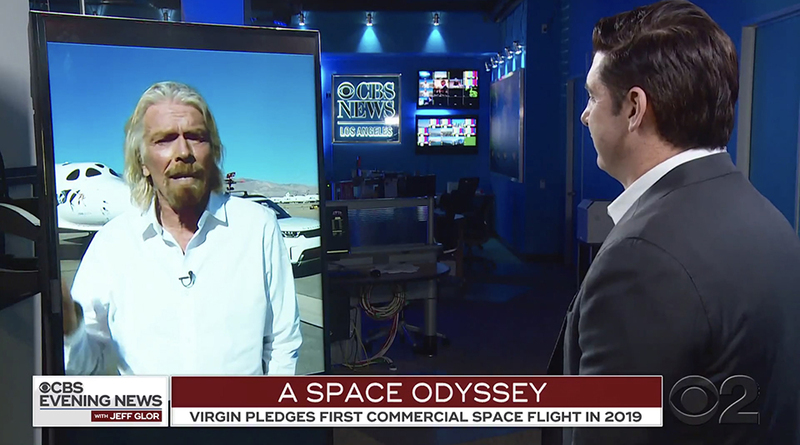 This was combined with a cross shot of the correspondent facing a vertical screen in the network’s Los Angeles bureau interviewing Branson, who was standing in front one of his company’s aircraft. 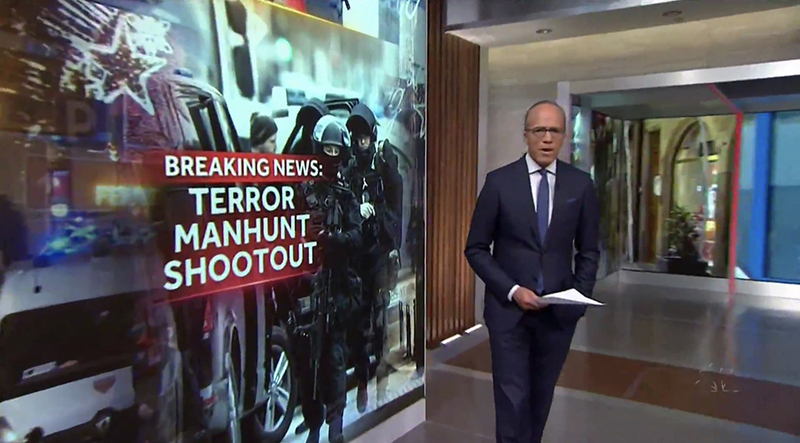 ‘NBC Nightly News‘ also lead with the shootout with the French terror attack suspect, with Lester Holt standing in front of a myriad of topical imagery on the studio’s video tower, jigsaw LED panels and vista alcove. 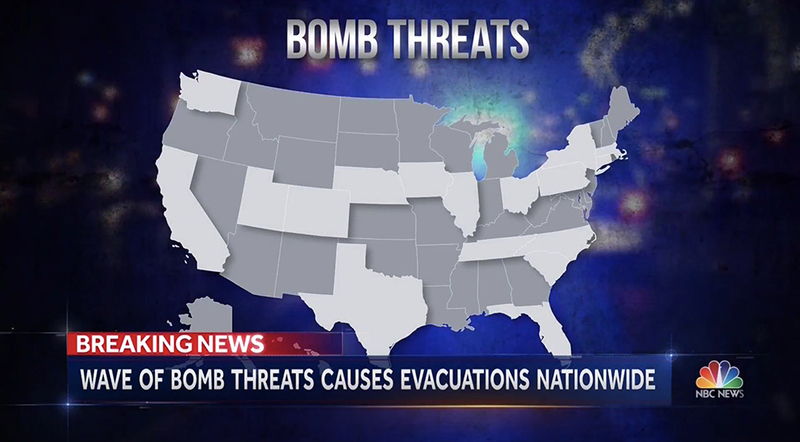 ‘Nightly’ also covered the nationwide bomb threats with this map — featuring bursts of emergency lights behind it. 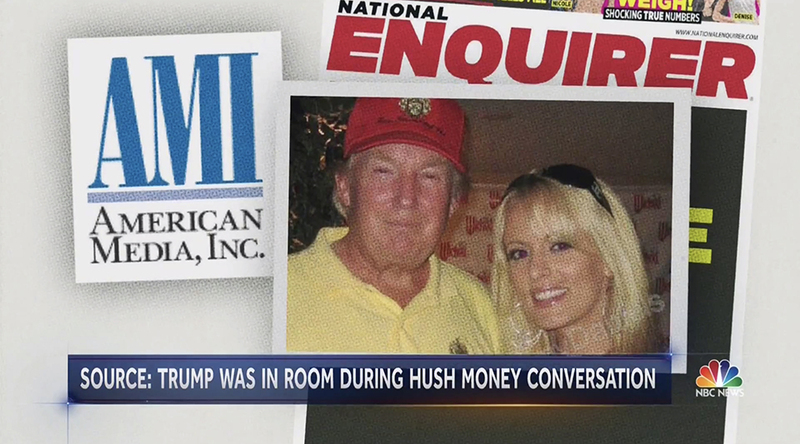 The network then covered alleged ‘hush money’ and ‘catch and release’ payments made to women claiming affairs with Trump by using faux National Enquirer covers and ‘pull out’ photos. 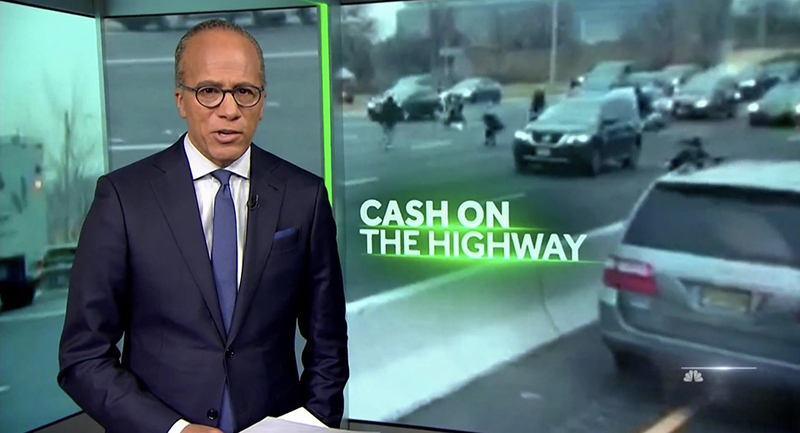 For a story about cash on a highway, Holt stood in the vista video wall alcove with the bursts under the words ‘Cash on the highway’ switched to green. 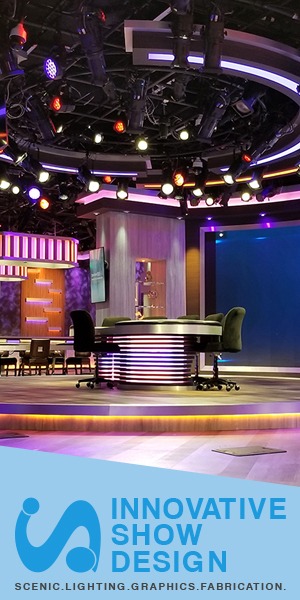 The LED band between the video panel segments was also turned a matching bright green. 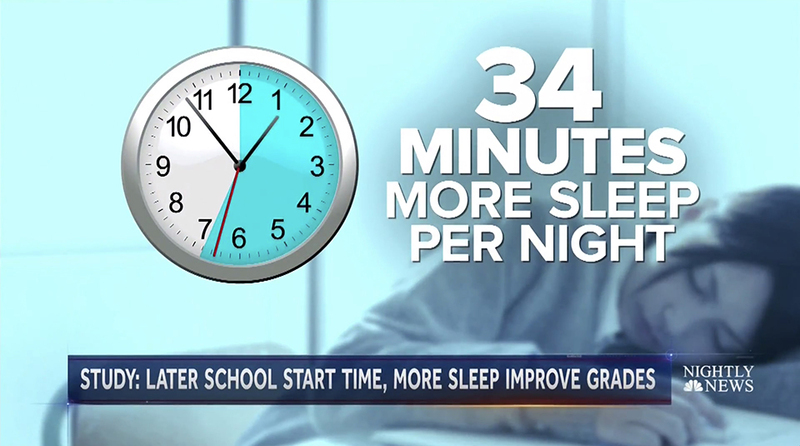 ‘Nightly’ also covered a new study about later school start times, using bright blue graphics with a clock showing the extra sleep students got. 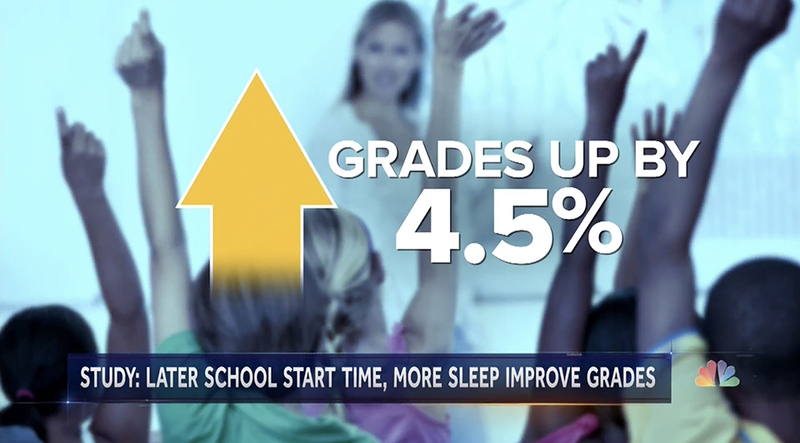 A matching graphic showed the increase in grades. 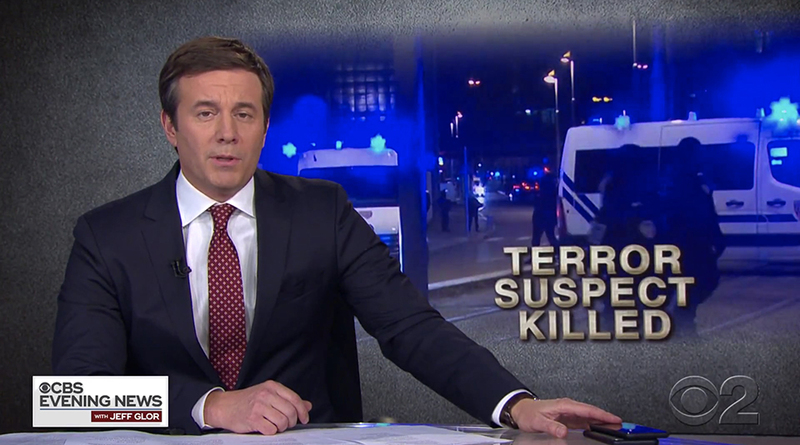 ‘World News Tonight‘ also lead with the French terror story before covering the school plot story as well. 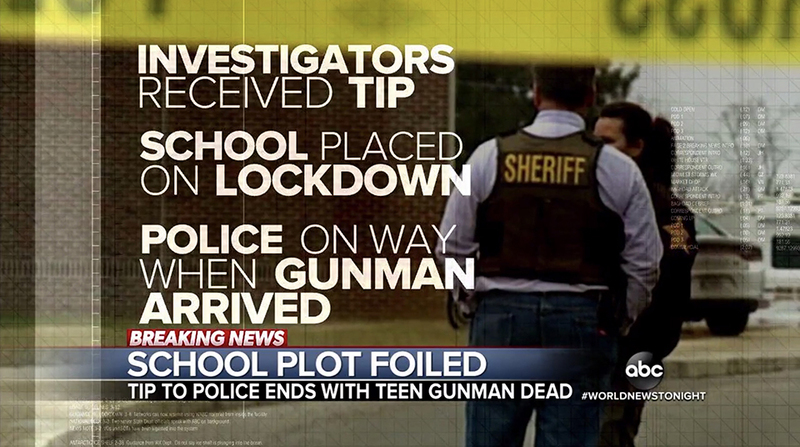 It used a text-heavy explainer screen to showcase key facts about the case. 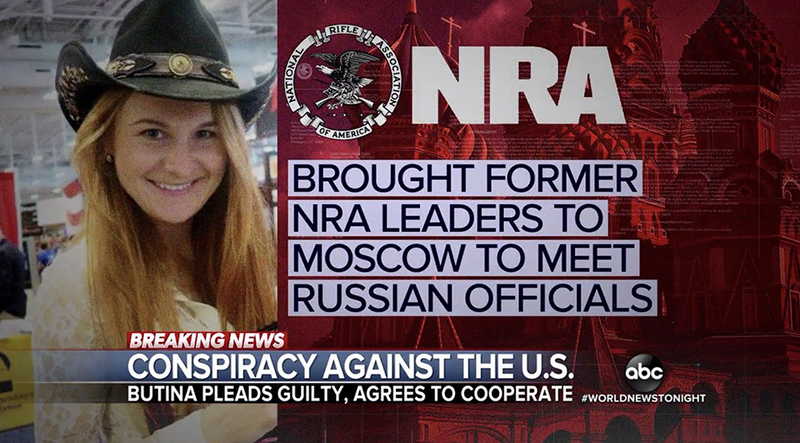 The broadcast also used this graphic during coverage of Maria Butina’s case, which included a bright red Russia-themed background and large NRA logo. 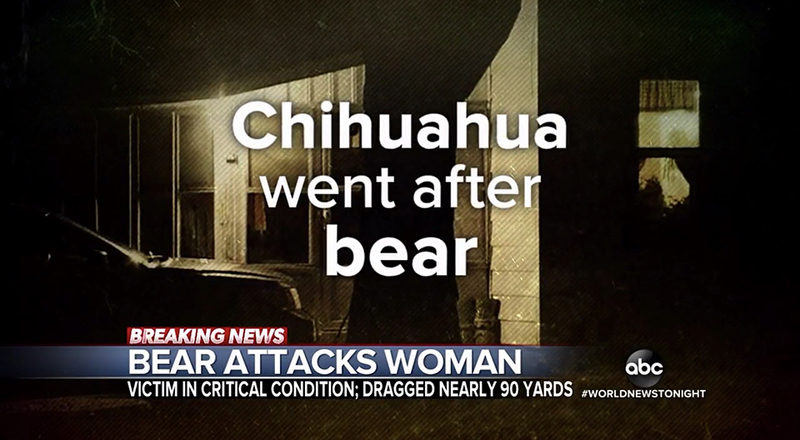 The broadcast also covered a bear attack against a woman — with this rather unusual headline appearing on screen.